At some point during your adventure, you'll want to find Far Cry 5 Eagle Locations. To find eagles in Far Cry 5, you can often get clues from road signs and magazines. And, when you skin three eagles, you'll be awarded three perk perks! A huge thanks to randomChievos on YouTube who has found some great hunting locations for eagles in Far Cry 5. In the following video, we discover and excellent spot to the South of Rae-Rae's Pumpkin Farm in John's Region. 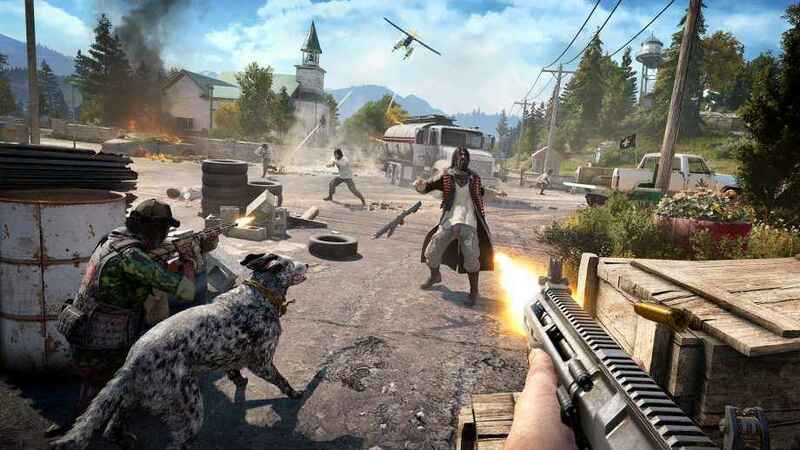 You'll see the Bald Eagle icon marked on the Far Cry 5 map. Grab your bow, head there in the night time and shoot the eagles down! Don't forget to loot their bodies for the eagle skins! There's another great eagle location a bit further North, once again it's just to the South of Rae-Rae's Pumpkin farm in the forest (0.49 seconds in the video). Do let us know if you've found any better Far Cry 5 eagle locations in the comments below! Of course, there's many more animals to hunt for Far Cry 5, including fish, bears, deer and wolverine. And if you're lucky (and patient) you'll be able to get the ‘Been There, Done That' trophy!